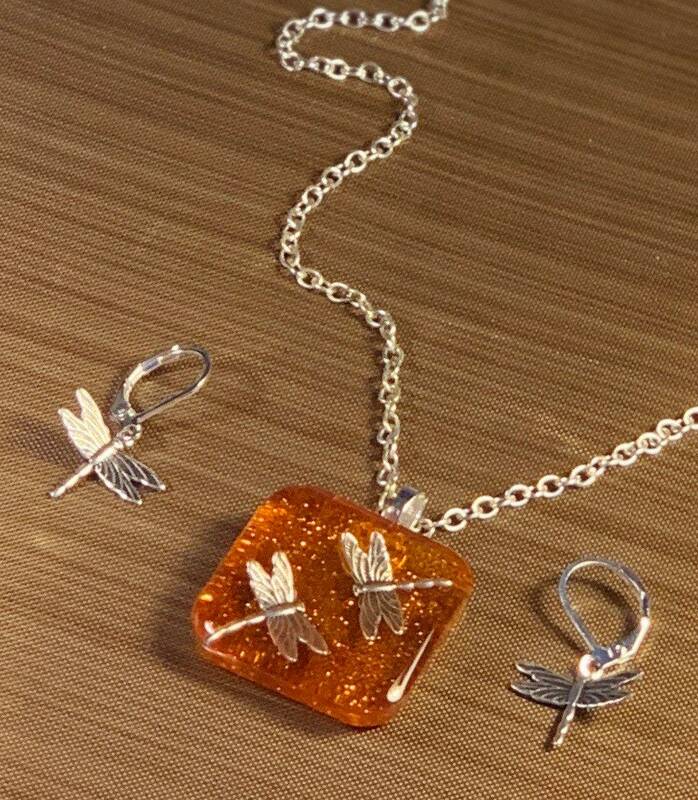 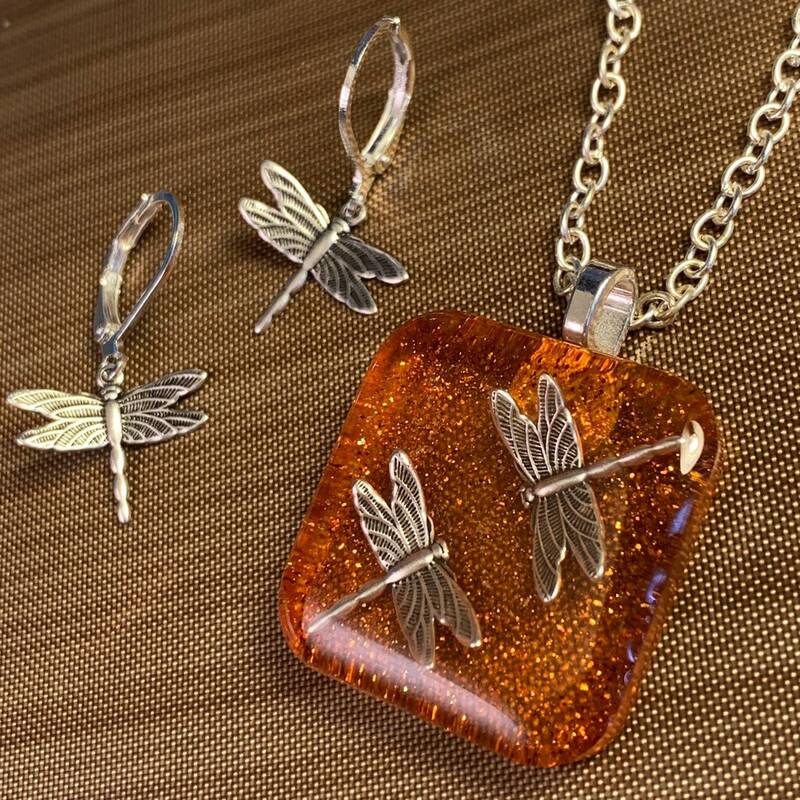 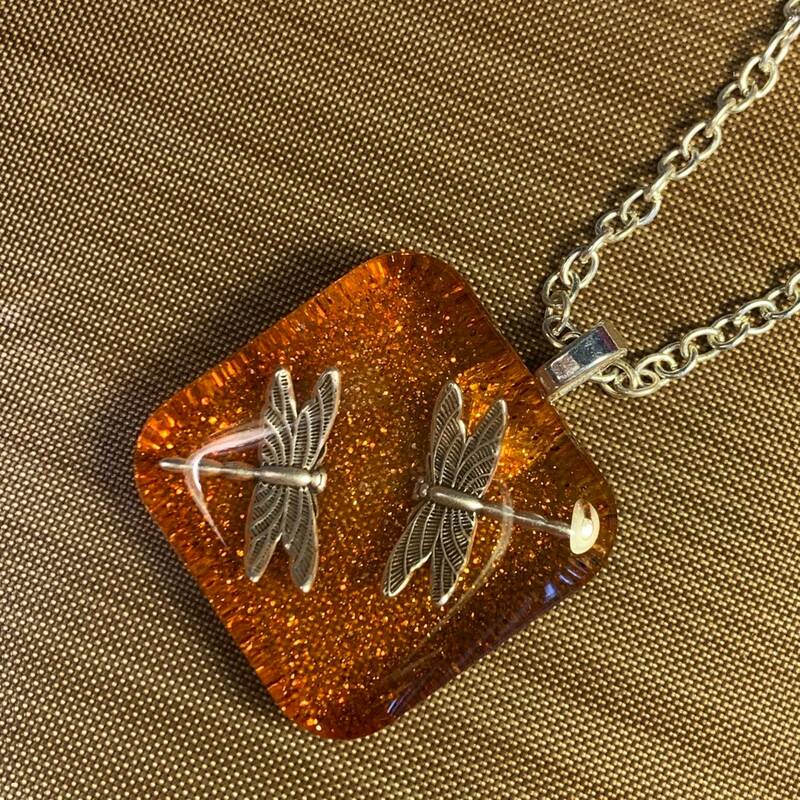 Dragonflies in Amber colored resin. 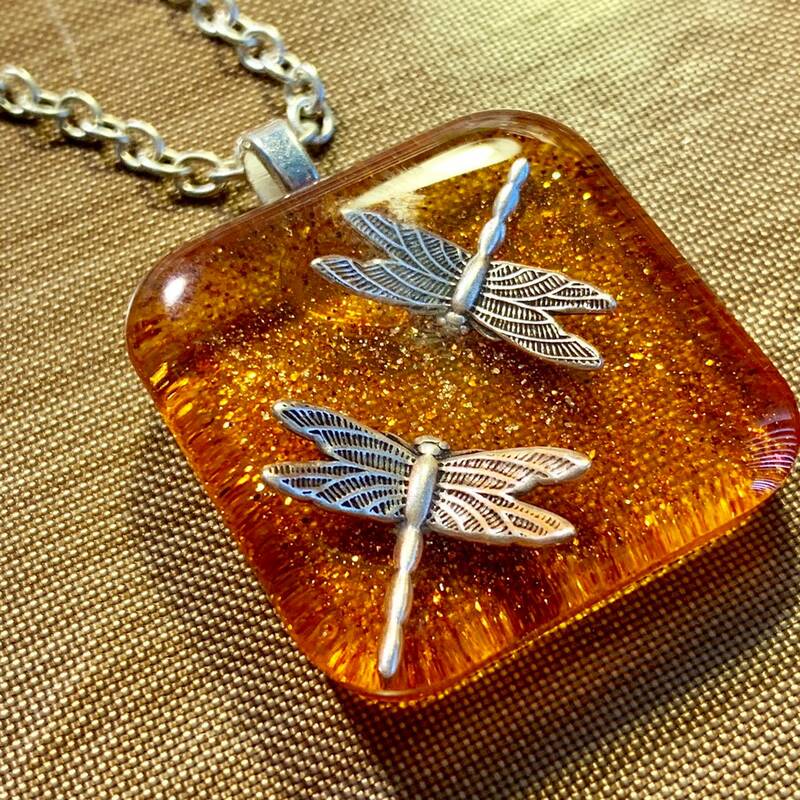 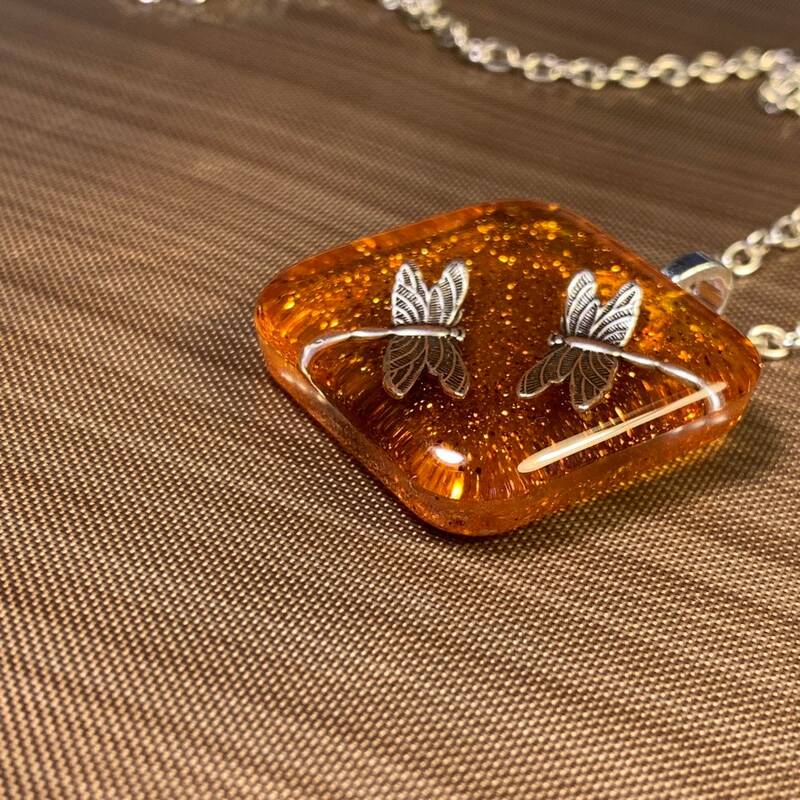 One of a kind Large Pendants made with amber colored resin with two happy dragonflies suspended in flight. 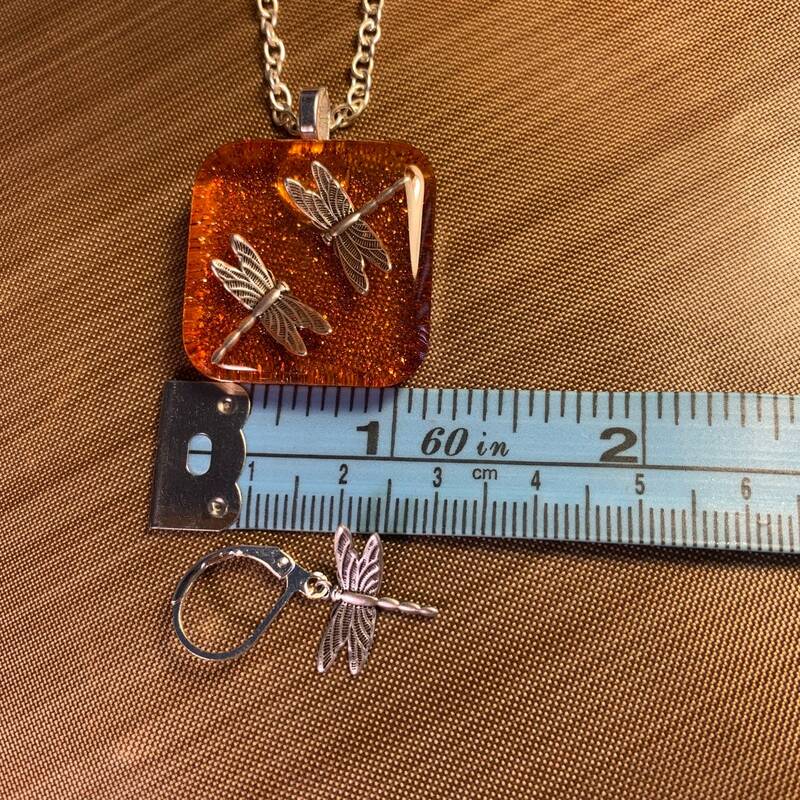 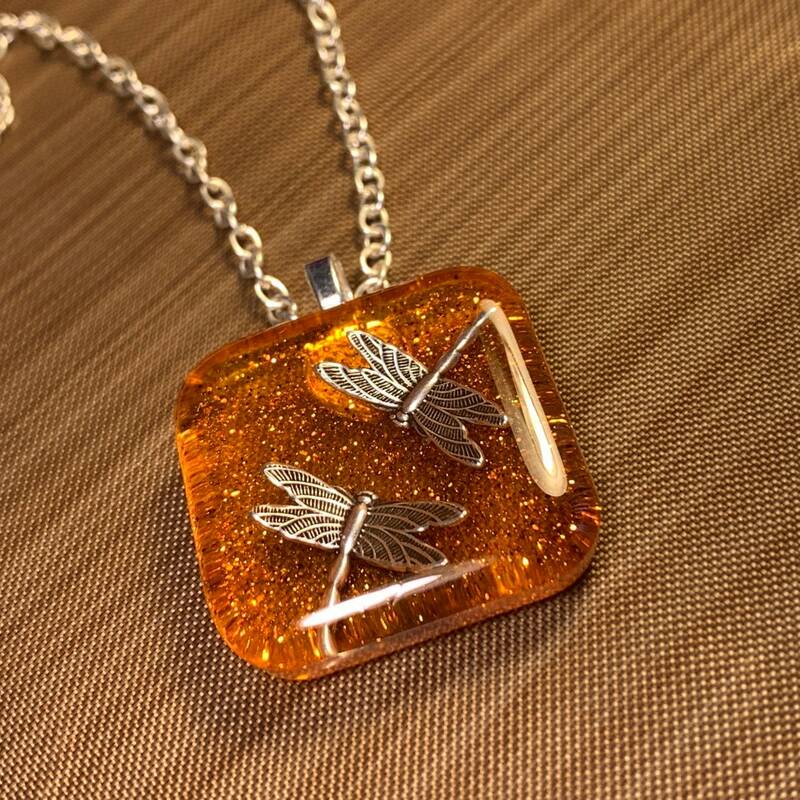 Square (1.2") with two playful dragonflies suspended in amber colored resin. 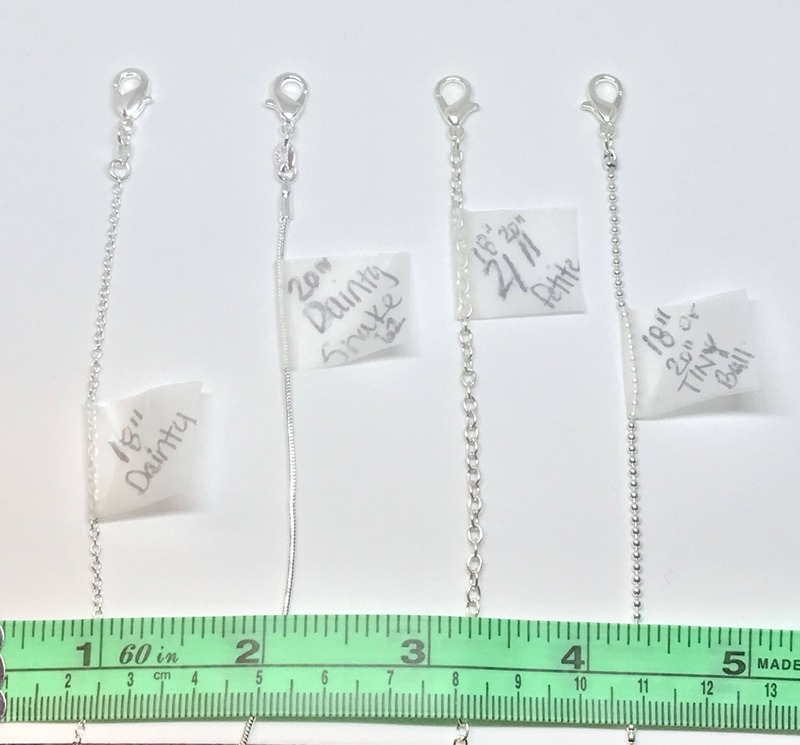 Choose from Silver Bail with a 18" or 20" Sterling plated TINY ball chain 1.5mm with lobster clasp. 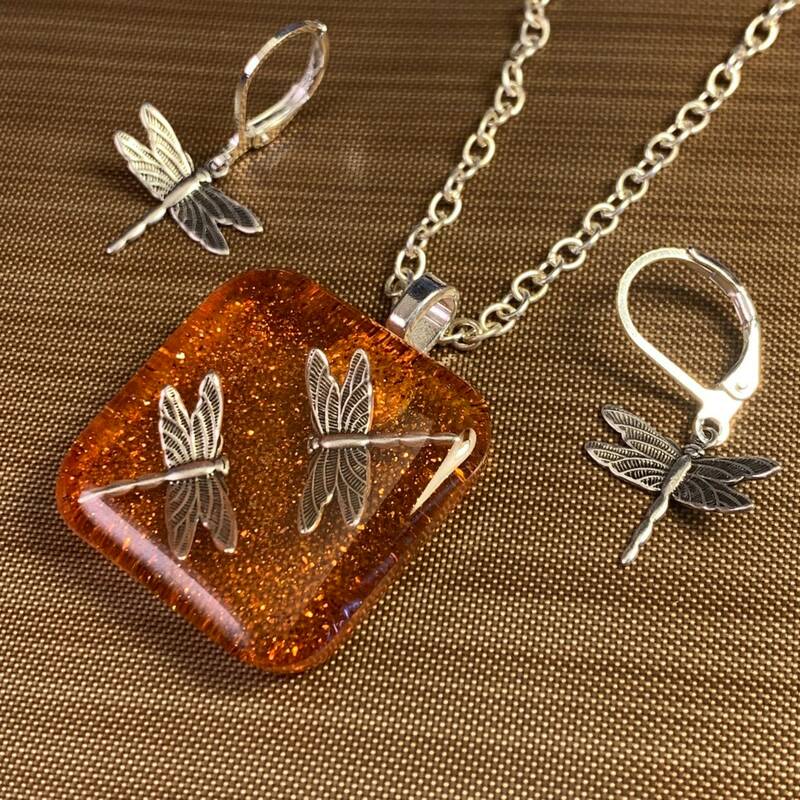 For a gift set CHOOSE Style and WOOD BOX to get the necklace of your choice AND matching earrings in a lovely mini treasure box where you can store them and other tiny treasures. 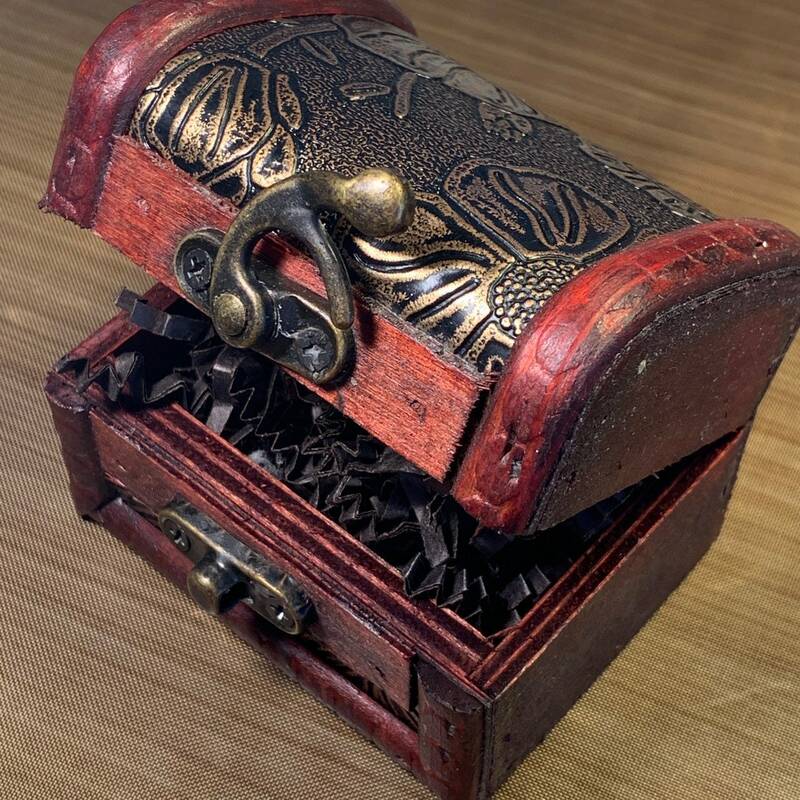 Each item comes in a small box to give as a gift or to keep for yourself.